Conserving Carolina invites the community to enjoy the work that conservation organizations have done over the years to preserve our area’s natural resources and to take in the beauty of the fall season! Starting September 28, the first trek will head to Pisgah National Forest (Pisgah Ranger District) for a hike along Black Balsam Knob. The 3.9 mile, moderate, loop hike will lead the group to the summit of Black Balsam and Tennent Mountains for scenic views and the onset of autumn. On October 12, the hike will take place in the Appalachian Ranger District of Pisgah National Forest, to Rich Mountain (3,643′ elevation). This 5 mile, moderate, out and back will allow hikers the opportunity to climb the newly renovated fire tower to enjoy beautiful panoramic views of the surrounding mountains, just in time for the trees to show their fall leaf color. 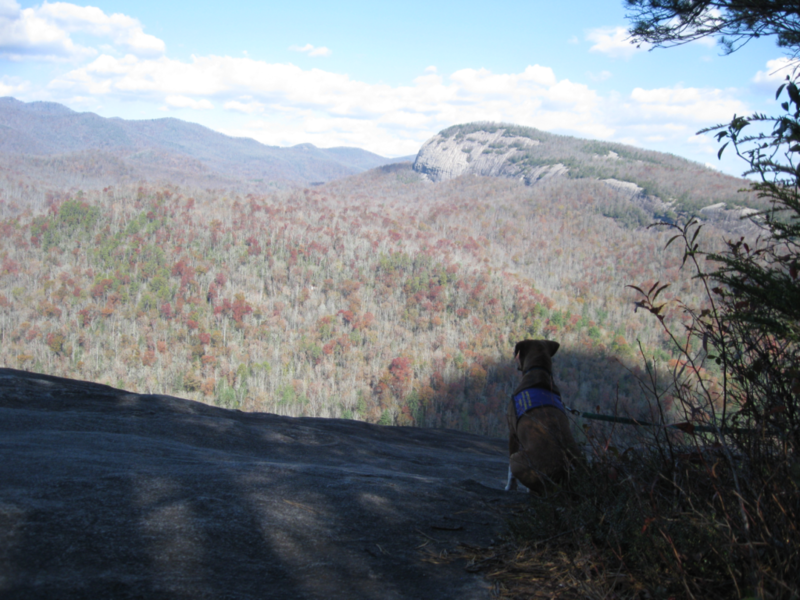 On October 26, hikers head to Panthertown Valley in Nantahala National Forest. The 5.6 mile, moderate, loop hike will lead the group to Schoolhouse and Greenland Creek Falls and to the top of Little Green Mountain for beautiful views of the surrounding mountains. Finally, on November 9, the group will head to South Mountains State Park for a 6.4-mile, moderate, loop (lollipop) hike. The trail will lead the group to the top of a dry mountain ridge for spectacular views then descend to Shinny Creek and back to the start. If you are interested in attending Conserving Carolina’s fall hikes and would like more information, please contact Pam Torlina at 828-697-5777, ext. 300 or e-mail pam@conservingcarolina.org. You can also find information on our calendar or Facebook page.